Glaucoma is caused from a buildup of pressure in the eye, which expands and causes permanent damage to the optic nerve. Because this is the nerve that acts as a pathway for images from your eye to your brain, this means that glaucoma causes permanent damage, and consequently permanent blindness. While this condition is highly treatable, it is not reversible, and it is important to get diagnosed early so that you can begin to manage it right away. Especially because glaucoma doesn’t usually come with any early pain or symptoms, the only way for you to know if you have it before it causes permanent damage is for you to receive annual eye exams from your local eye doctor. Open Angle – Your eye has a mesh-like structure, through which the fluid in your eye flows. However, this mesh-like structure can get clogged or blocked, resulting in open angle glaucoma, and creating fluid buildup and pressure in the eye. Narrow-Angle – More common in farsighted eyes, this type of glaucoma occurs because the structure of the eye itself lends to blockage and inhibits the flow of the fluids in your eye. While not treatable or reversible, glaucoma is very manageable and if you catch the condition early enough, chances are you can live the rest of your life without completely losing your vision. We screen all of our patients with the latest scanning and imaging technologies. If glaucoma is detected we can manage your condition in our office at your convenience. 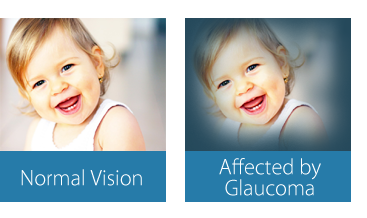 Contact us today and get an eye health exam to assess your risk for glaucoma.